We woke up early and made our way to DC. Not a single person near the monument. 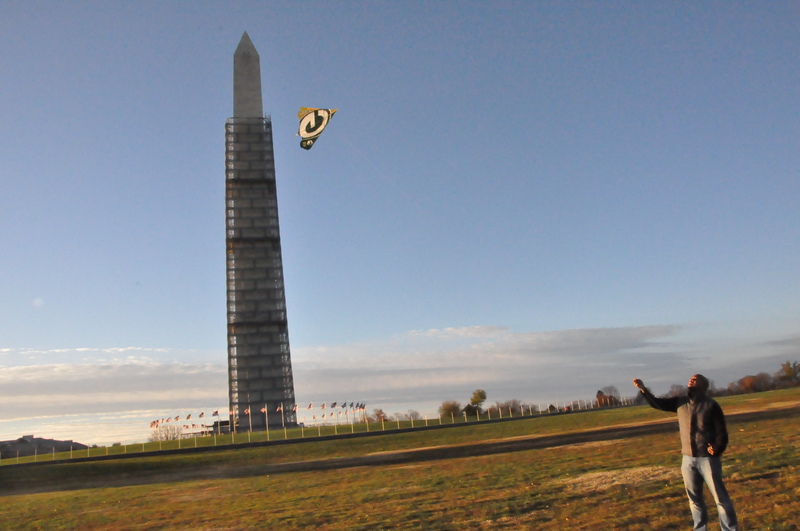 It was perfectly windy and I got the kite up a few times. Unfortunately, it only lasted a few flights, took a nose dive into the ground, the whole thing broke, and that was it. It was fun while it lasted!